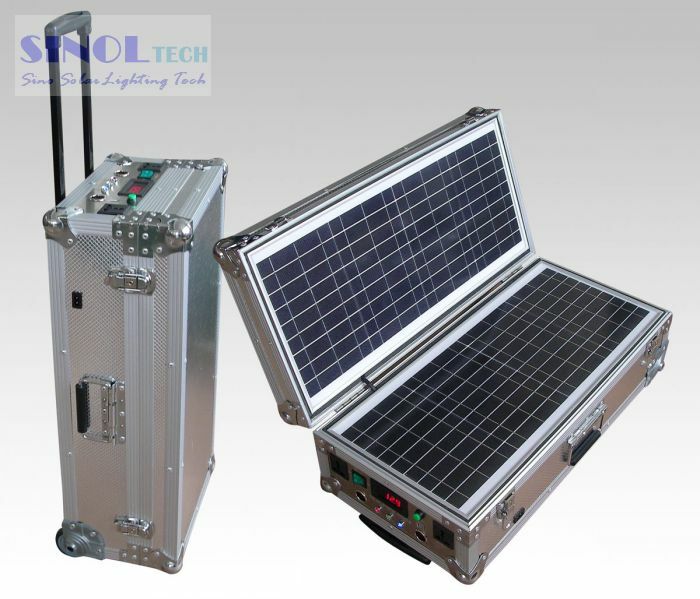 assembling and carring, convenient using,Its llifespan can reach above 20 years, a variety of charging ways complementary, solar, Ac and Dc all can charge for the system, one time investment, long-term benefits. The system has high conversion of silicon solar panel, high euphotic rate and mechanical strength, good resistance to climate, preventing wind, hail. Which can effectively resist corrosion of moisture and salt fog, and can produce high efficient power and energy. Applicance range: Electronic appliances such as mobilephone charging, notebook computers, lights, digital camera, video camera, TV, electric tools, music CD, DVD, electric power whose voltage is in 50Hz,220V, Design and manufacture as the small AC/DC power supply system, for farmers in remote areas, and posts, fieldwork, small tourist camping It is the necessary perfect product in the portable office, fieldwork,and areas lack of electricity.